PEACEFUL, SELF-CONTAINED APARTMENT IN TRADITIONAL RAGLAN BACH. Secluded, sunny location with wonderful water views. Up a quiet private drive, a few minutes walk from Raglan centre and the town beach, and a five minute drive from the surfing beaches. Lounge and bedroom open onto decks with wonderful views of Raglan Harbour to the North and the Inner Harbour to the East. A self-contained apartment with owner living next door. The apartment sleeps up to 4 people, with a double bedroom, twin-bedded lounge, kitchenette area and bathroom with shower. The lounge has a trundler bed which converts either to one queen-sized bed or two singles. The kitchenette has an induction hob, electric mini oven, fridge/freezer and microwave , and is suitable for preparing snacks and small meals. Washing-machine. Free wireless broadband access, TV with FREEVIEW and DVD player. SKY satellite dish but bring your own SKY receiver/decoder box (HDMI) if you want to watch what you have at home . Heat pump, electric convector available for winter heating. NOTE: This is great value accommodation for central Raglan, ideal for couples or a small family group.. We have another larger property just next door (Kent Holiday House) and can accommodate groups of up to 11 across both properties. We are only a short drive from the world famous Manu Bay and Whale Bay surfing beaches, and from local beauty spots Bridal Veil Falls and Wainui Reserve. Within easy walking distance of the town beach with its large, safe play area for children., and the town centre and Wharf where there is a good choice of restaurants serving varied cuisine, excellent seafood. There are a lots of outdoor activities available besides surfing - kayaking, hiking up Mt Karioi, mountain biking, golfing, caving, fishing and horse riding. Lots of artists studios and boutique shopping for rainy days, or head to the Raglan Museum and Information Centre for more ideas. 40% deposit is required to secure the booking; the balance is payable 8 days before arrival. A cancellation policy applies from 60 days before arrival. Please make sure you have read and understood the terms and conditions before making a booking. Standard rates are $100.00 per night for 2 + $25 each extra person. Off-peak winter rates are $95 for 2. Minimum 2 night booking EXCEPT by special arrangement . Peak summer and holiday rates are $115 per night. Minimum 4 night bookings over the peak holiday period from mid-December to early February. 1 night bookings available by ENQUIRY only - last-minute, off-peak, or where a single night is left unbooked between other bookings. Cleaning and linen surcharge may apply for these bookings. Please enquire about discounts for extended stays and off-peak discounts for weekday stays of 2 nights and more. CHECK IN: 1:00pm; CHECK OUT: 10:00am. LINEN: Bedding, sheets and towels provided. CHILDREN WELCOME: if using disposable nappies, we ask that you dispose of these yourself or use a separate paid refuse sack for their disposal. PETS: By PRIOR ARRANGEMENT WHEN BOOKING on the understanding that they must be kept under control at all times and must be cleaned up after. SMOKING: Strictly Outside only, on the understanding that smokers dispose of cigarette remains safely and clean up after themselves. Peaceful, secluded setting with wonderful views. Easy walking distance to town centre. Kitchenette with small fridge/freezer, microwave, mini-oven and induction hob. Suitable for preparing small meals and snacks. Deck with wonderful water views. Outside dining table and seating. Sun umbrella. Very pleasant homestay with a great view. We enjoyed our time staying at the Kent Homestay. Thanks. Comfy little place to relax after an adventurous day. High up with wrap around deck, lovely water views and very peaceful bush outlook. Rick was there to greet us and show us through flat, but also gave us our privacy as well. It's lovely, quaint and neat as a pin with everything to make your stay enjoyable. 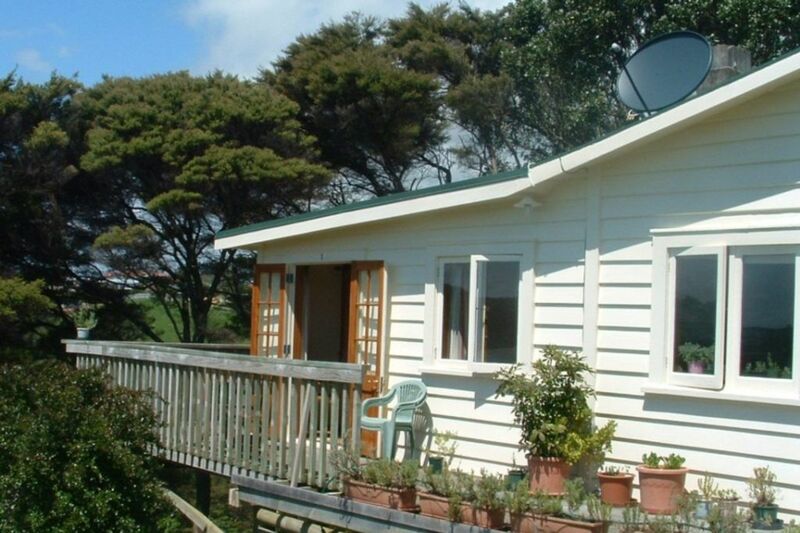 Within walking distance to all the cafes and restaurants in Raglan village and the beaches. Good wifi, and lovely views across the inlet. We would love to come back sometime. Lovely wee cottage. Delight to stay in. Very good value For what we paid. Great location. With nice views. Very well equipped. Host was very pleasant and most helpful on our arrival. Relaxing on the balcony in the tree tops. Clean, comfortable and spacious. Well appointed. Peaceful. Loved the two options from the deck, both with views across to Raglan Harbour. The back deck was nice and shady in the heat of the day and looked through the top of the trees. Rick is a great communicator. He greeted us and made sure that we were well settled. Thank you Rick for having us, such a cute place with all the necessities :) This peaceful place is handy to everything...my girls snd i loved our stay and we would love to come back again..